In 1969, the school was transferred to a five (5)-hectare property in Barangay Bitas where it still stands today. Araullo Law School then became a college, known as Araullo Lyceum. It offered diverse courses and improved its facilities. 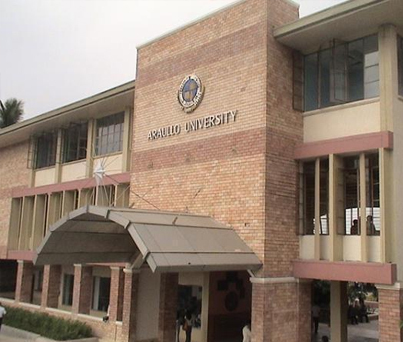 This led the Department of Education, Culture and Sports to grant the institution the university status in 1983, giving it a good reason to rename itself as Araullo University. In April 20, 2004, Araullo University became part of the PHINMA Education Network (PEN), an educational institution that aims to provide quality yet affordable education. Through PHINMA, Araullo University strengthened its academic offerings and employed non-traditional approaches to learning. Considering the development of the community it serves, PHINMA AU is guided by its mission of developing Filipino professionals through the endowment of knowledge and skills, as well as, character and spiritual formation. PHINMA AU has been ranked number 14 nationwide in the list of schools with 50 or more examinees for Accountants. It produced topnotchers in Criminology Licensure Examination in August 2010 and in April 2016. Likewise, it also produced topnotchers in the Licensure Examination for Teachers (LET) in April 2013. In 2014, PHINMA AU South was opened to cater to students from the southern part of Nueva Ecija. It offers bachelor's degrees in Hotel & Restaurant Management, Tourism Management, Pharmacy, Business Administration major in Banking and Microfinance. From an enrollment level of only 5,753 students in 2004, PHINMA AU now boasts of 10,200 students in 2017 with the biggest batch of Senior High School students in the whole province of Nueva Ecija.